This events guide features all the information we have on events in Texas. The guide covers theatres featured on this website so you may wish to check local listings for any additional theatre tours available in Texas. Enjoy your event! 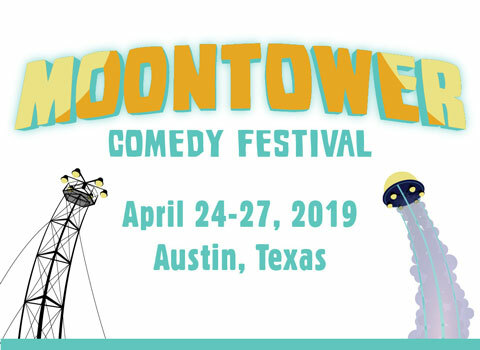 For the past seven years, the Moontower Comedy Festival has been dedicated to bringing world-class comedy to the city through a variety of performances in stand-up, sketch, and musical comedy by well-known performers and up-and-comers alike. The festival has also built a reputation for shining a spotlight on the wealth of hilarious Austin talent. Moontower highlights include memorable performances from Tiffany Haddish, Bill Hader, Amy Schumer, Tim Minchin, Kids in the Hall, Patton Oswalt, Tig Notaro, John Mulaney, Ali Wong, Michael Che, Bridget Everett, and so many more. Check website for specific events, venues, and ticket prices. VINTAGE VEGAS! You’re invited to celebrate the 99th year of the historic Gaslight-Baker Theatre! Each year, we choose a theme for our annual Gala that offers you something unique and entertaining with a dash of drama. This enchanted April 27 we look to the 1950s and 1960s glamorous era of the Rat Pack. Our board of directors is thrilled to announce that the theme for our 2019 Gala is “Vintage Vegas”. This glitzy evening will have amazing music, dancing, unique silent auction items, a photo booth, catered gourmet food, and community. Luxuriate in the beautiful and charming atmosphere of Two Wishes Ranch while you listen to the cool jazz sounds of the John Henrick Project. To celebrate the 104th year of the historic Paramount Theatre, we’re enlisting the wild energy of The World’s Greatest Party Band to convert Congress Avenue into the biggest “love shack” of all time. 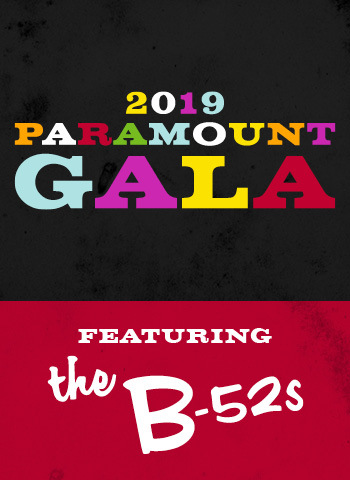 We’re thrilled to join our Board of Directors in announcing the 2019 Anniversary Gala will feature The B-52s! With a vintage 1960s theme, this electric evening will highlight amazing music, nonstop dancing, incredible food, and essential community support. And, to keep the party going into the night, we’ll also feature Skyrocket! in the after-party tent – plus more to come!